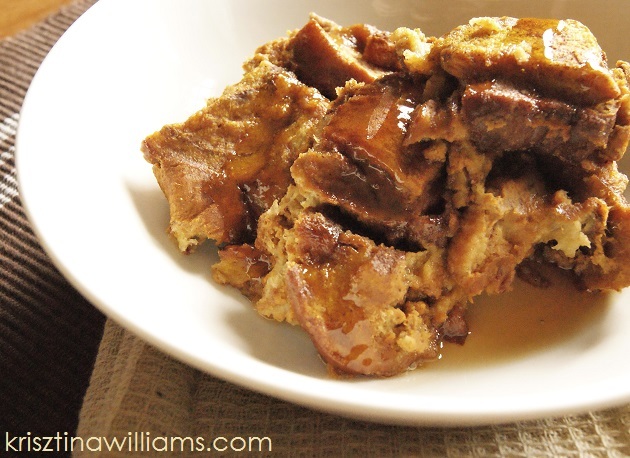 Bread pudding is such an easy way to feed a crowd for brunch (or to have yummy leftovers for the week). You can prep it the night before then just pop it in the oven in the morning and have a relaxing cup of coffee instead of standing over the hot griddle while everyone else is chilling. 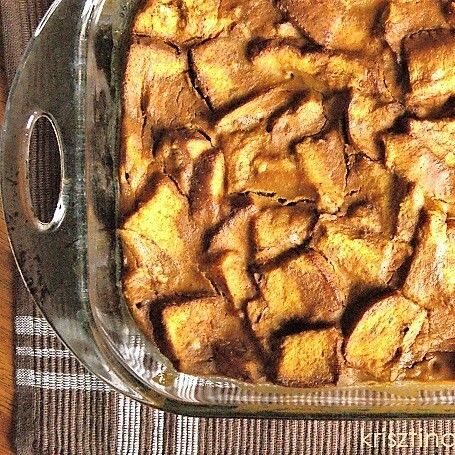 For fall there is nothing better than pumpkin-flavored anything, so I just had to come up with a pumpkin bread pudding recipe. This one is super easy. I used only the basic ingredients, but it came out so perfectly yummy. The pumpkin coffee in the recipe does give it a slightly bitter flavor, which I prefer, considering how much maple syrup I like to put on it. Though you can substitute the coffee with liqueur, or add in a bit more brown sugar to make it sweeter. Though if you serve it with syrup or powdered sugar, I encourage you to try the recipe as-is. It created the perfect balance between sweet and savory. 1. Lightly butter or grease your baking dish and preheat oven to 325 F. Fill the dish with the cubed pumpkin swirl bread. 2. Mix all the other ingredients in a large mixing bowl and whisk until thoroughly combined. 3. Pour mixture over bread and press down the bread gently until all of the liquid is absorbed. 4. Bake at 325 for about 50-55 minutes until the top layer is slightly crusty and you see the cracks in the pudding (see photo #1). *Tip: To add some crunch, serve it with some sweet pralines, and of course drown it in maple syrup. Enjoy! 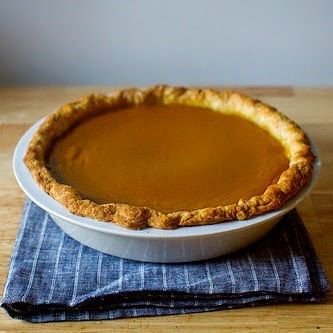 Browse all KCL Fall Recipes! Pumpkin goes so well with so many things... this one looks delicious!